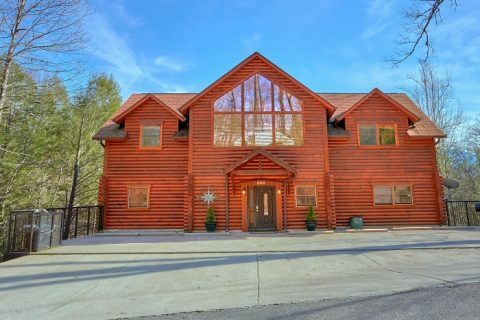 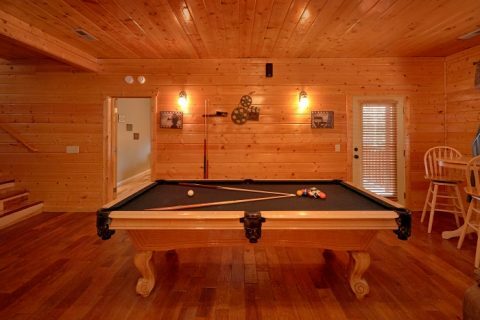 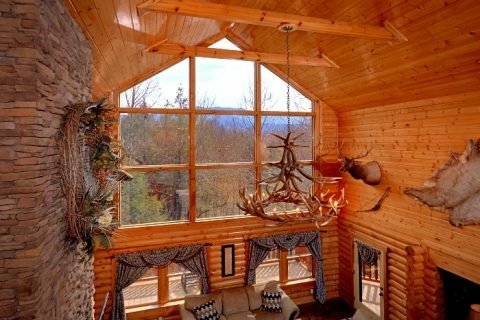 Nestled in the Glades area of Gatlinburg, you'll find this large Smoky Mountain cabin that's perfect for a family getaway or gathering of friends! 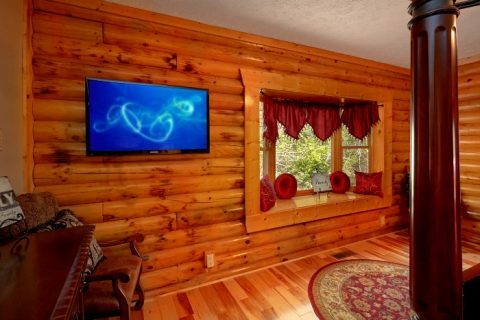 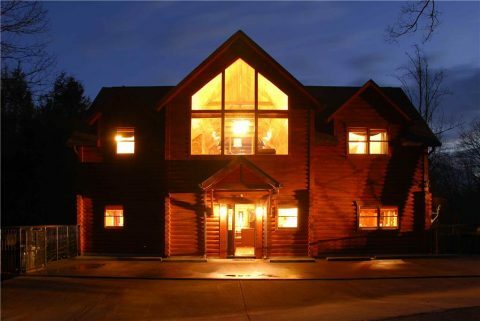 "Elkhorn Lodge" is a spacious rental with 5 bedrooms and room for up to 14 guests. 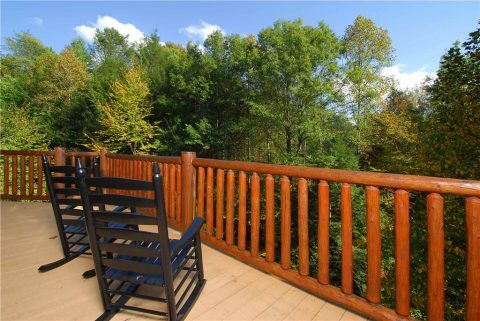 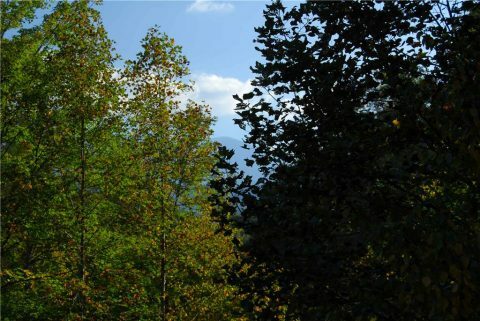 Better yet, this large rental offers a great location near Downtown Gatlinburg and the Great Smoky Mountains National Park. 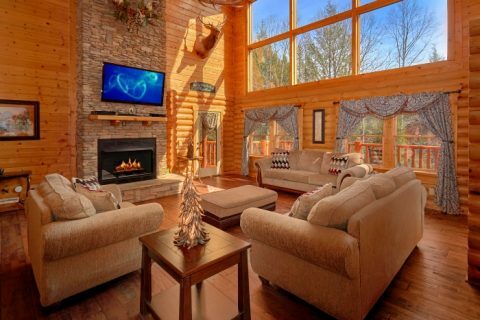 As soon as you step into this luxurious mountain retreat, you'll be glad you chose such a quality rental for your vacation. 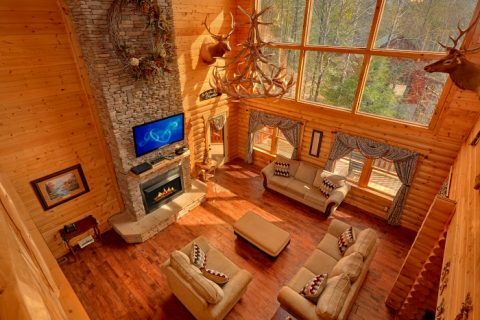 In the main living area, you'll love luxurious features like the cathedral ceilings, large picture windows, a mounted buck, and an elegant floor-to-ceiling, stacked-stone fireplace. 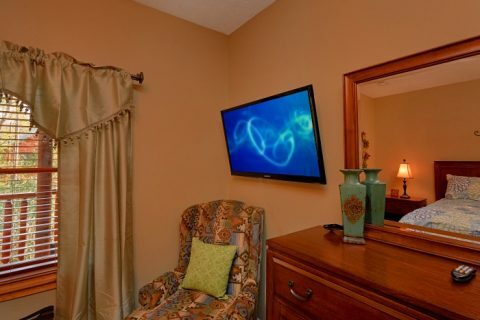 Mounted above the mantel, you'll find the 55" HDTV flat-screen, television with a Blu-Ray player. 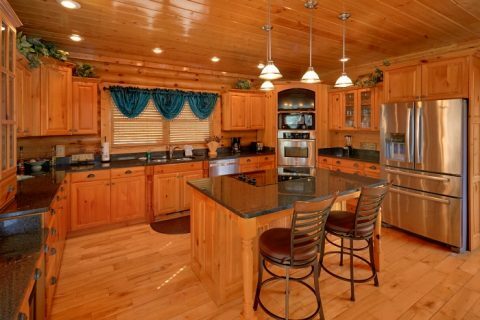 The spacious living area leads to a large kitchen complete with granite countertops, a kitchen island, stainless steel appliances, and a 32" HDTV above the oven. 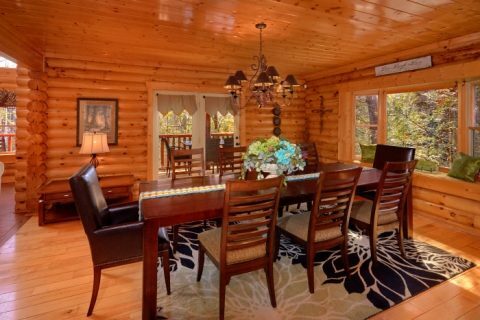 For enjoying great meals with your family and friends, everyone can gather around the large dining room table with 10 chairs. 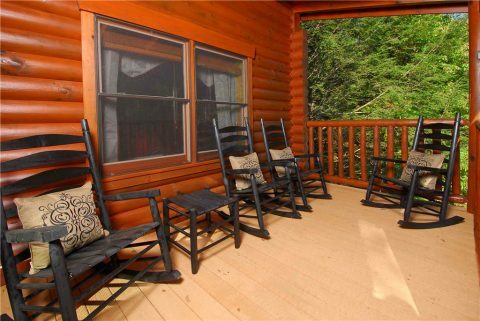 To enjoy the fresh mountain air and your cabin's forested view, simply step outside to the main level deck that features rocking chairs and patio furniture. 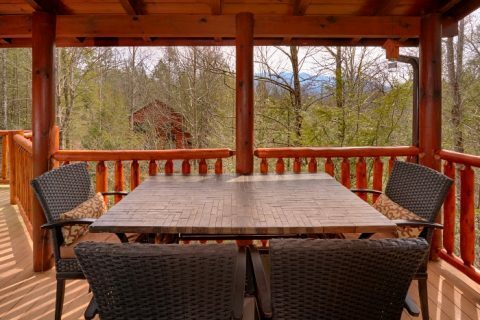 A table makes this the perfect place to enjoy breakfast while you take in the sights and sounds of nature. 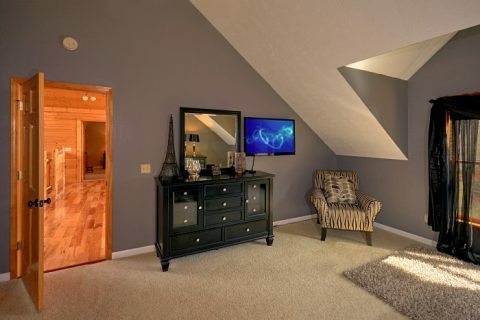 In the upstairs loft area, you'll find a sitting area with a sleeper sofa, chair, and a 42" HDTV. 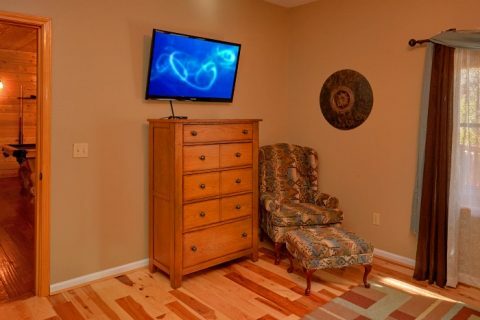 Downstairs, guests will have a blast in the fully-equipped game room with a pool table, a 70" HDTV, a Blu-Ray DVD player, surround sound, a gas fireplace, and a sitting area. 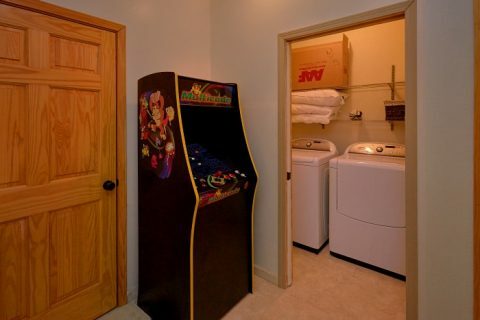 Nearby, the stand-up, multi-arcade game provides hours of entertainment with classic games. 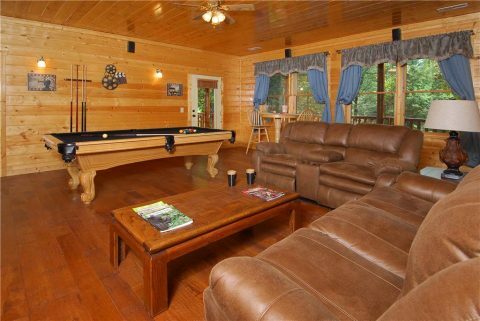 Your cabin's 2nd sleeper sofa is on this level. 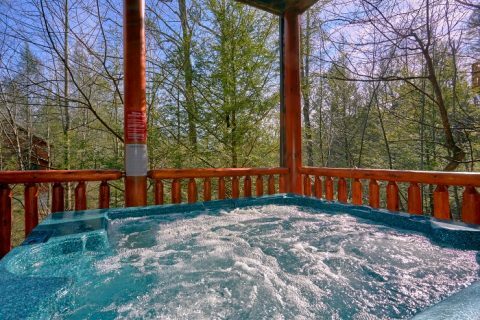 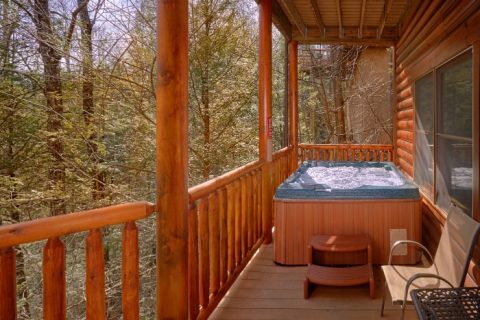 For a fun evening of relaxation, simply step outside onto this cabin's lower level deck and sink into the bubbling waters of the hot tub. 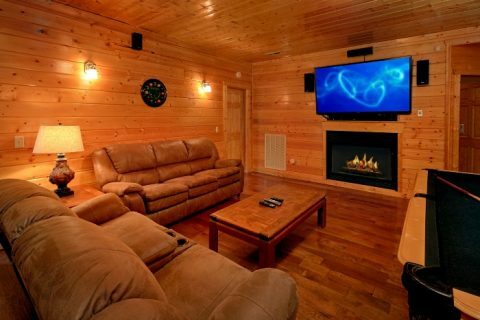 With 5 private bedrooms and 2 sleeper sofas, this cabin makes it easy for up to 14 guests to get a great night's rest. 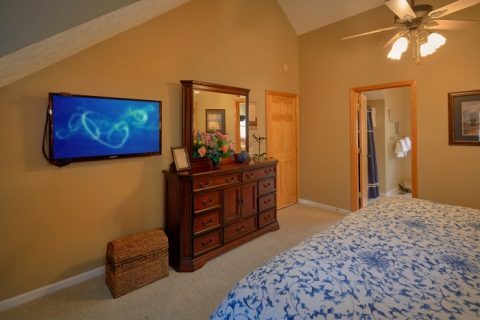 All of the bedrooms feature a walk-in closet, a 40" HDTV, and access to a full bath. 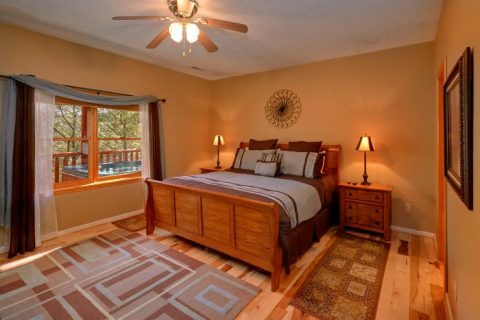 On the main level, the master bedroom features lovely 4-post king bed. 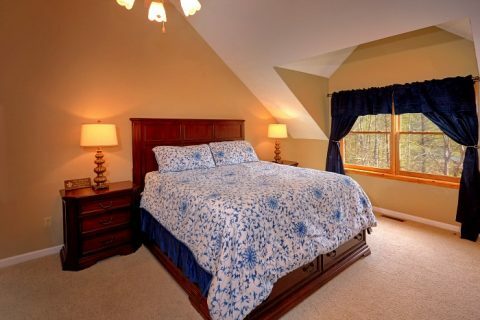 Upstairs, there is a king-size and a queen-size bedroom respectively. 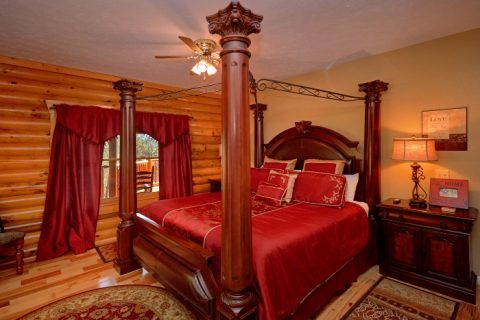 On the lower level of your cabin, you'll find 2 king-size bedrooms. 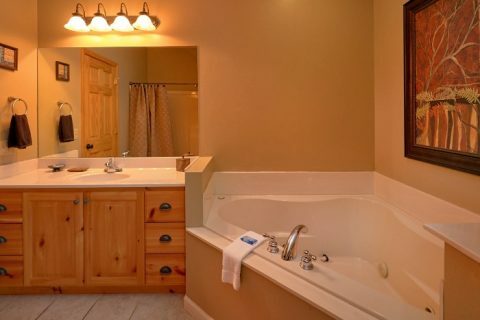 One of these even boasts a jacuzzi tub. 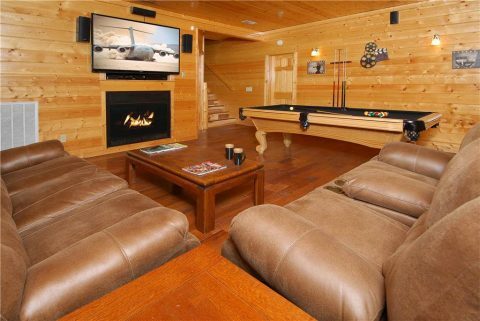 Lastly, 2 sleeper sofas provide extra space in the loft and the game room respectively. 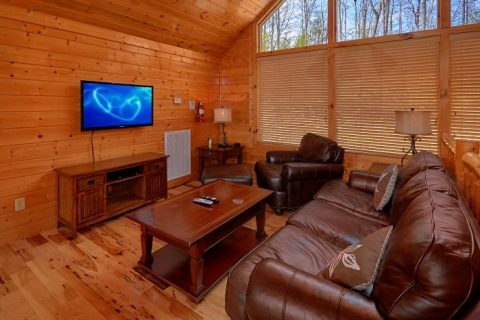 Additional conveniences included in this cabin are WiFi Internet, a washer/dryer, and a grill for hosting a fun cookout on your vacation. 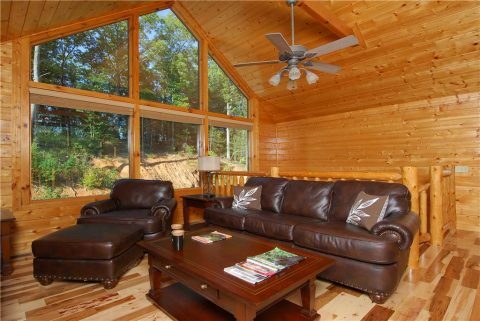 Don't forget to book "Elkhorn Lodge" with Cabins USA to save 15% on your nightly rate! 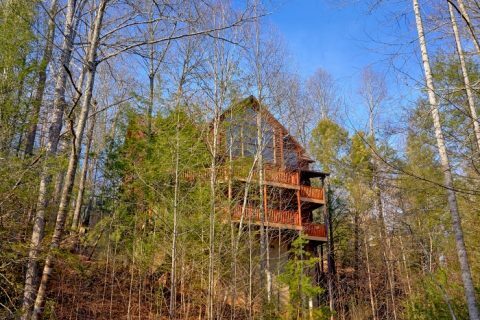 Bring your family and friends to the mountains of Tennessee for a vacation that's fun and truly affordable!